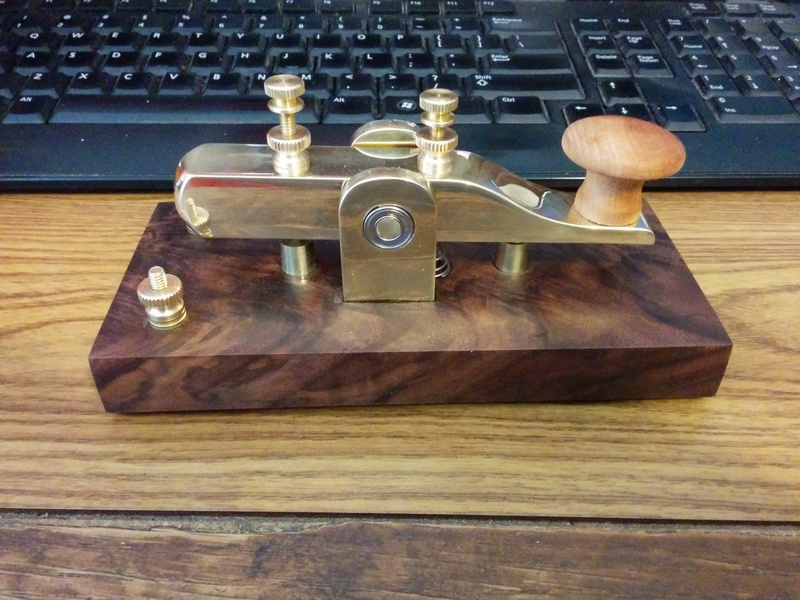 I just finished working on my first straight key. This is my first time working with brass, and it went fairly well. The brass polished up nicely, and according to my multimeter, it works properly too! The mortises aren’t as clean as I would like since the walnut burl has funky grain, and based on the angle of the axle, I apparently don’t have as square a drill press as I thought. Overall it looks great though, and I’m happy with the results. Now I just need to finish building a radio so I can actually use it!